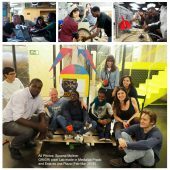 Grigri Pixel is a lab devoted to innovation in international cooperation between Africa and Europe. 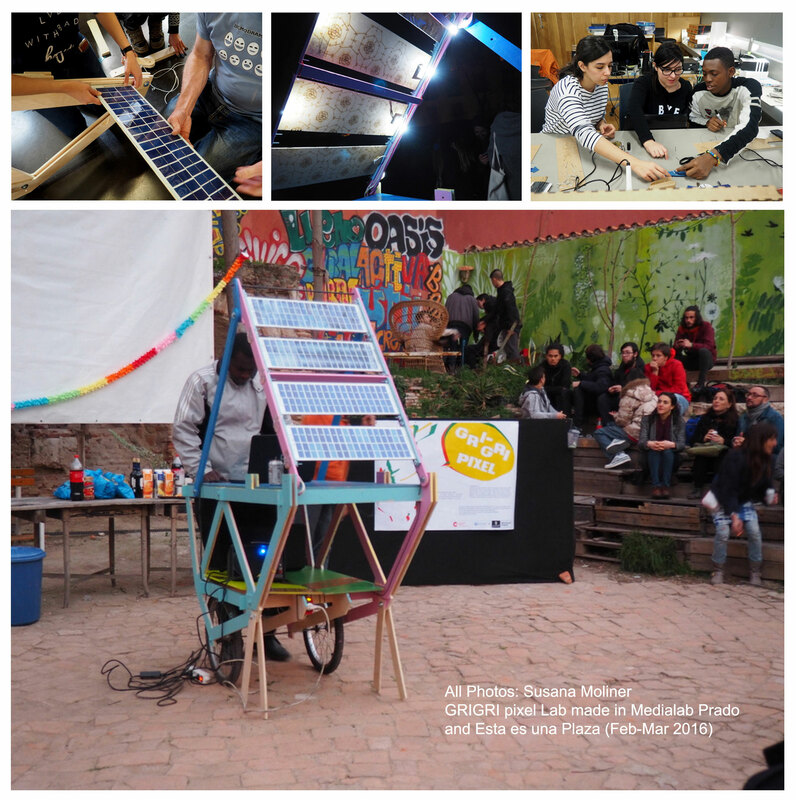 It is an initiative that operates by generating alliances with local spaces and communities in participating cities for the purpose of organising experimental workshops for collaborative construction of public copyright street furniture elements designed and manufactured in a collaborative effort between Madrid, Barcelona and the African cities signed up to the project. These street furniture elements, in the form of collectively created amulets or gris-gris, will not only serve a useful or functional purpose for the community of users, but they will also serve as protectors of the common space where they are located, thanks to the narrative surrounding their manufacturing and the affective network they are rooted in. The process of mediation and research that will precede and accompany the workshops will serve precisely to discover and to map out – in a diagnostic fashion – any threatening or debilitating elements from which protection is required via the manufacturing of these urban amulets. 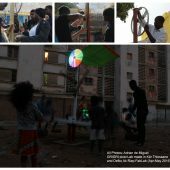 Furthermore, they will serve to make visible, to recognise and to pool together other protective forces, know-how and peripheral, unconventional knowledge that can invoke the shared luck brought by collectively constructed urban gris-gris. 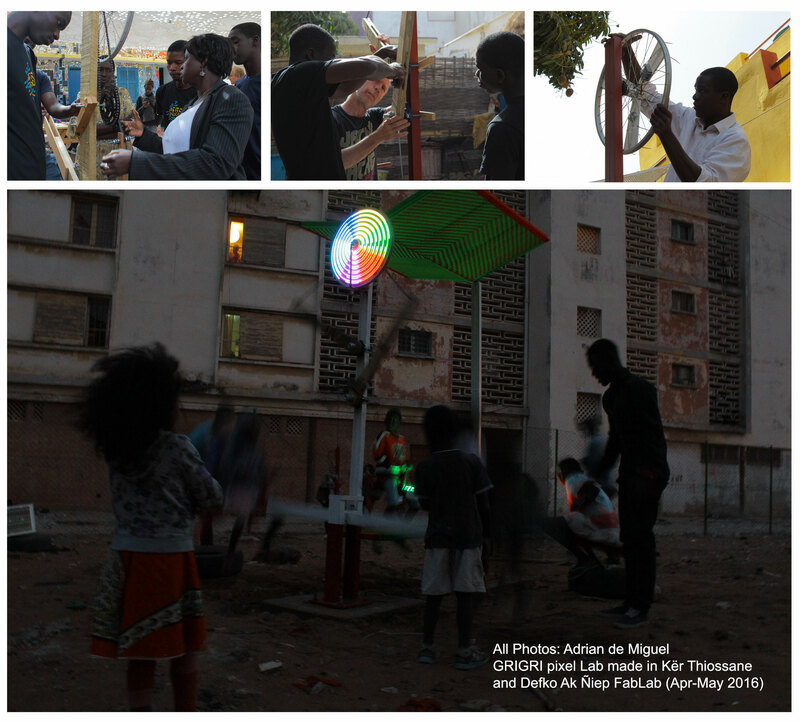 This project took place across Africa in Dakar, Casablanca, Bamoko and Lome. 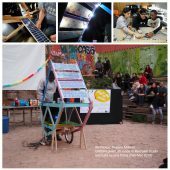 Students (Barcelona): Luís Elorriaga Planes, María Tomé Nuez, Adrián de Miguel Simón, Paul Appert, Nicolas Bersihand, Rocío Rosado Moreno, Luís Santos Ildefonso, Irene Ayala Castro, Suraia Abud Coaik, María Alberich Ruiz-Salinas, Blanca Aragonés Delgado, Judith Burgos Burgos, Ángel Campos Palacios, Sara Casado Jiménez, Yiju Chen, Juan José Estrada Vargas, María Jesús Ferreira Trujillo, Elena Gallego de Velasco, Alba Gil Lobo, Beatriz Moreno Iñigo, Juan Carlos Martínez Medina, Duván Meneses, Alejandro Montes Gavilán, Mónica Perona Cáliz, Inés Perretta Montes, Alfonso Portabales González and Nerea Sanz Ferrer. Students (Dakar): Hamidou Ba, Mamadou Dian Barry, Moustapha Coly, Moddio Daff, Jeremie Roland Diatta, Awa Diouf, Mame Mor Faye, Issa Guéye, Fatime Mbengue, Pape Assane Ndao, Daouda Ngom, Mohamadou Ngom, Joséphine S. Séne, Cyrille Essoh, Abdoulaye Bouaré, Stiven Briand Gos Massala M, Afate Gnikou and Jacob Sawadogo. * What threats and weaknesses endanger our communities and common urban spaces? * What features should a gris-gris that will care for and protect cohabitation in our cities have? learning experiences and subaltern knowledge? our home in – into more caring, inclusive and liveable spaces?